Thanks everyone who helped, joined in or spectated at Broadway Bike Night last Thursday. 10 Children entered the best dressed bike competition and Elspeth from The Wayside Farm Shop judged James Lee the winner of the £50 prize donated by Hamptons. 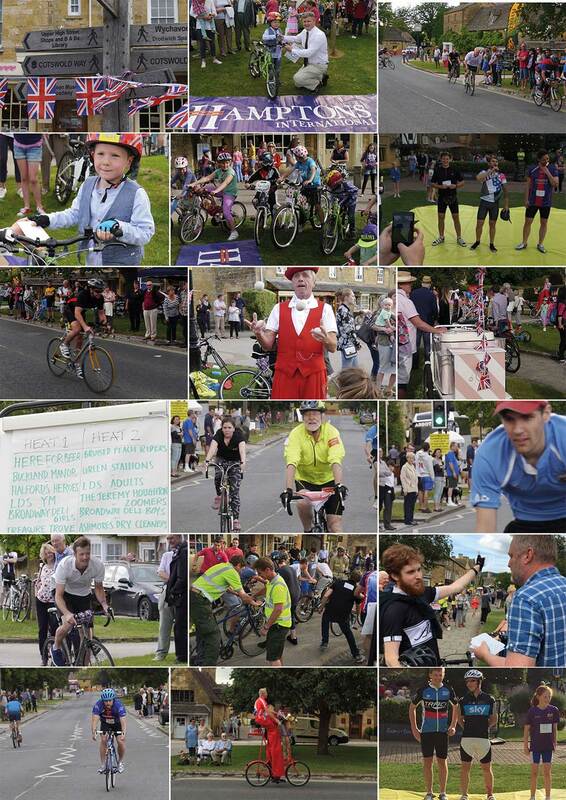 All entrants were entitled to a free ice cream courtesy of Icicle Tricycle. Wychavon Bike Ability ran a skills test on the street at The Swan end and most found it deceptively tricky. There was also a tandem on a static training device to have a go on, 3 bicycle shops attended with displays, Steve Kaos the Clown rode various stunt bikes. We’d like to thank the Broadway Trust for letting us use the green, the Parish Council for their financial support. We’d also like to thank especially, Chris Brooks of Wychavon District Council who was extremely helpful, and for his can-do attitude, and enthusiasm.